Odorous house ants have sweet tooths sugary goods and are especially fond of honeydew. They are known to move their nests every three months or so in response to rain. Indoors, odorous house ants nest near moisture sources, such as in wall voids near hot water pipes, in heaters, beneath leaky fixtures and inside wood damaged by termites. Outside, odorous ant mounds and trails are often found in exposed soil or under stacks of firewood. These black colored ants will eat almost anything. Pavement ants have been known to consume insects, seeds, honeydew, honey, bread, meats, nuts and cheese. They forage in trails for distances of up to 30 feet and are known to climb masonry walls that enter into occupied areas. In buildings, pavement ants are most likely to be found in ground-level masonry walls, but they also nest in walls, insulation and under floors. Outside, these ants typically nest under stones, pavement cracks and beside buildings. Black pavement ants do not pose a public health risk, but they can contaminate food and should be avoided in general. 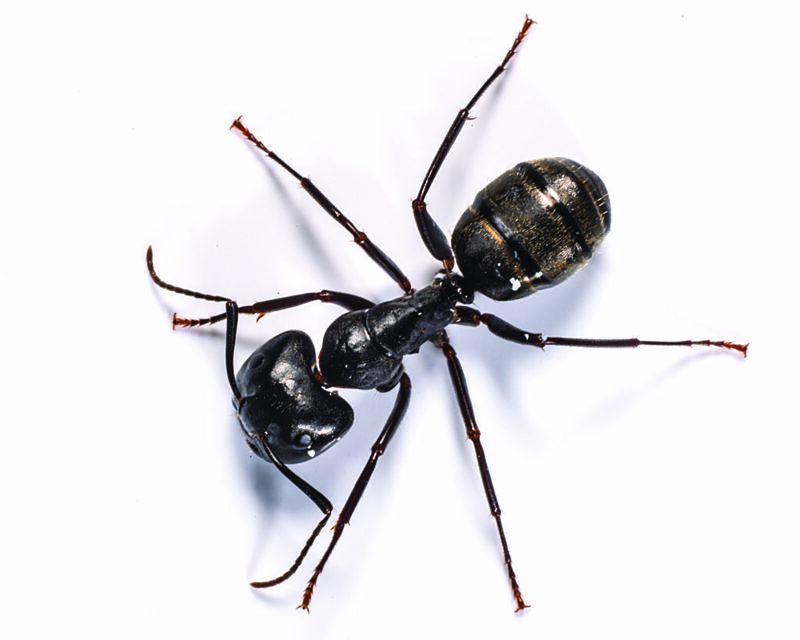 Let Gunter Pest Control be your Kansas City ant exterminator. We have the best ant exterminator service in the Kansas City area. We also have other services for pests such as termites, crickets, and spiders.